Grace your tables with our beautiful baptism or christening favors displaying a beautiful mini rosary inside of a box with a photo label. Completely assembled for the perfect presentation, the box measurements are approximately 2 3/4" wide by 2 3/4" long by 2 1/2". Select a photo of your baby, and your custom label will be placed on an elegant box and tied with a white ribbon. 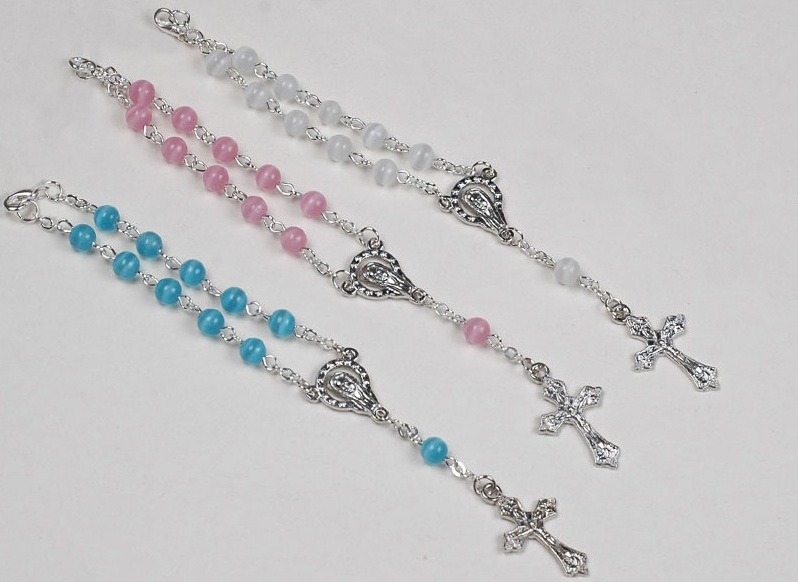 Inside rests a high-quality glass bead mini rosary measuring approx. 6 long. Please email your child's photo to: info@cool-party-favors.com .